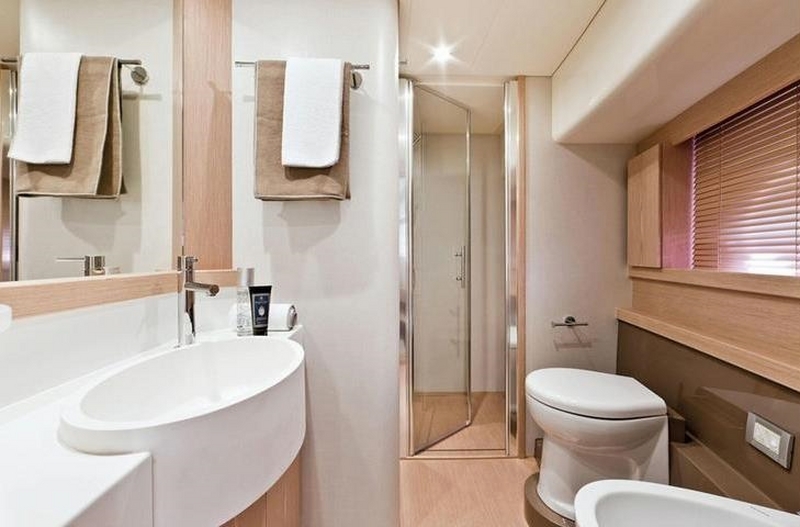 Entertainment: SAT TV LCD 22″/DVD in all cabins & saloon, Digital Satelite TV system, Bose Hi Fi system with surround sound in all cabins & saloon, Mini HiFi CD watertight, Ipod docking system. 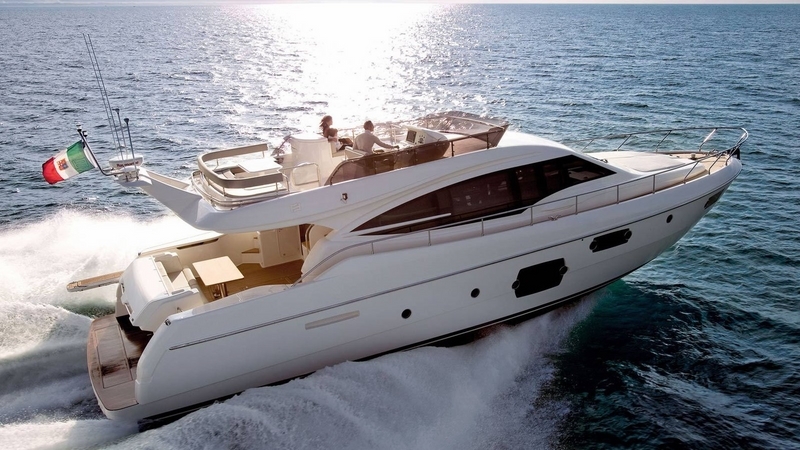 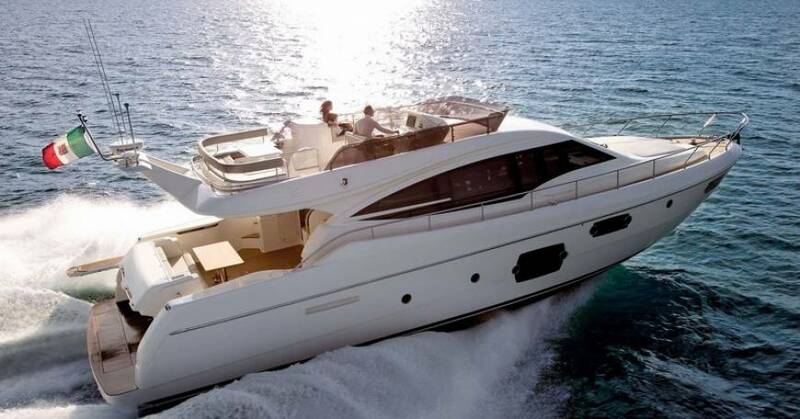 Equipment: Air condition in all cabins and saloon with individual cabins controls, Generator Kohler 15kW, Icemaker, Watermaker, Washing/drying machine, oven/el. 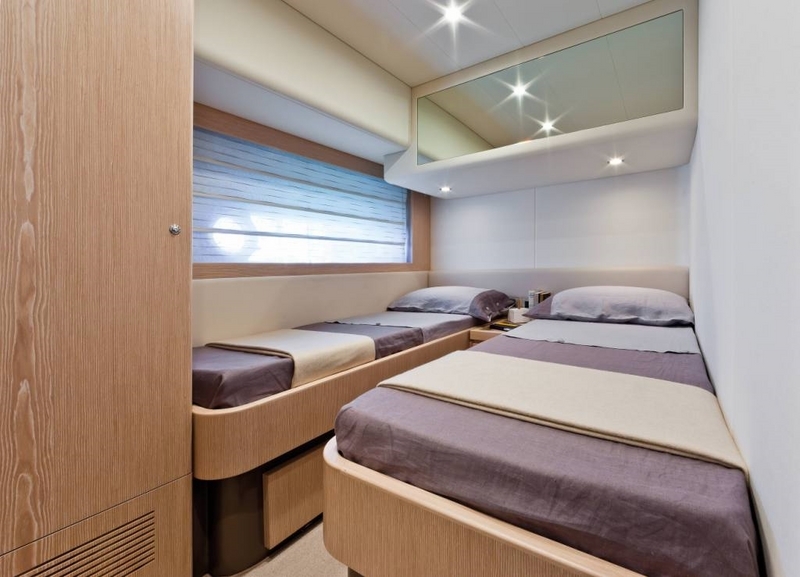 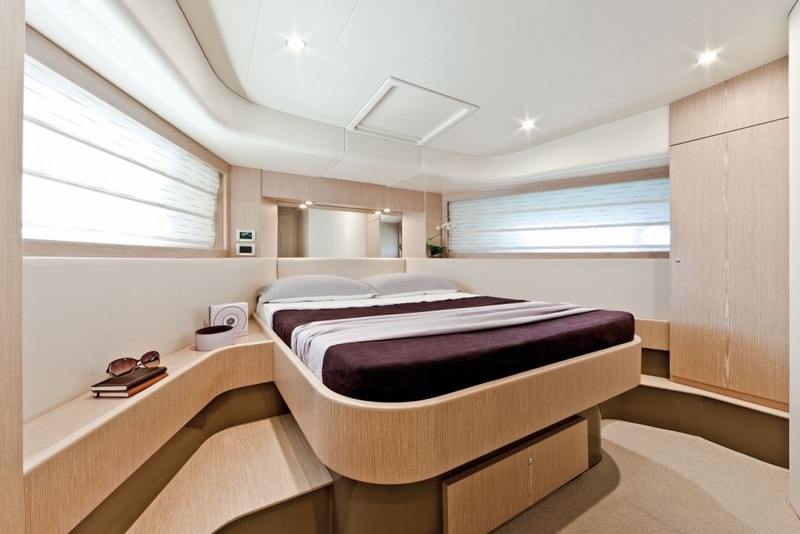 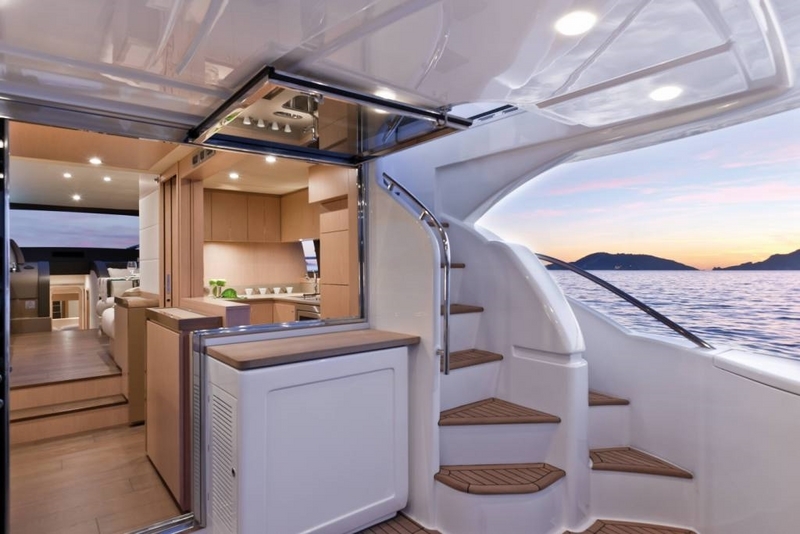 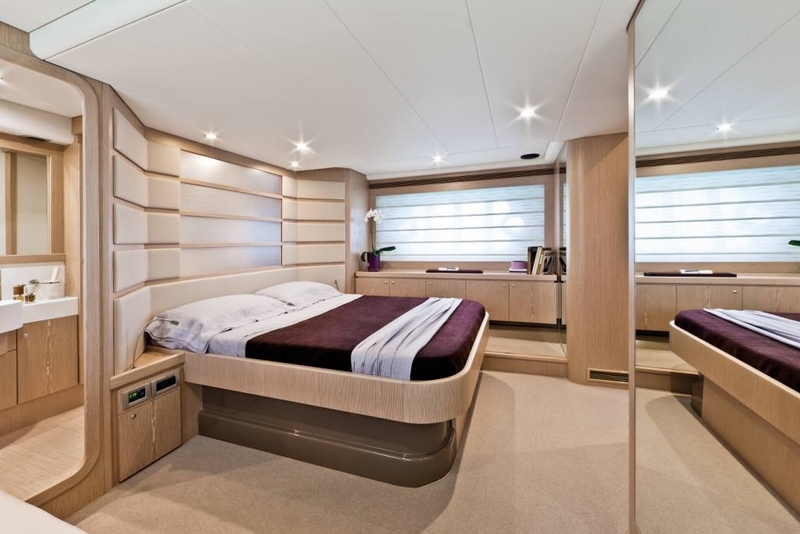 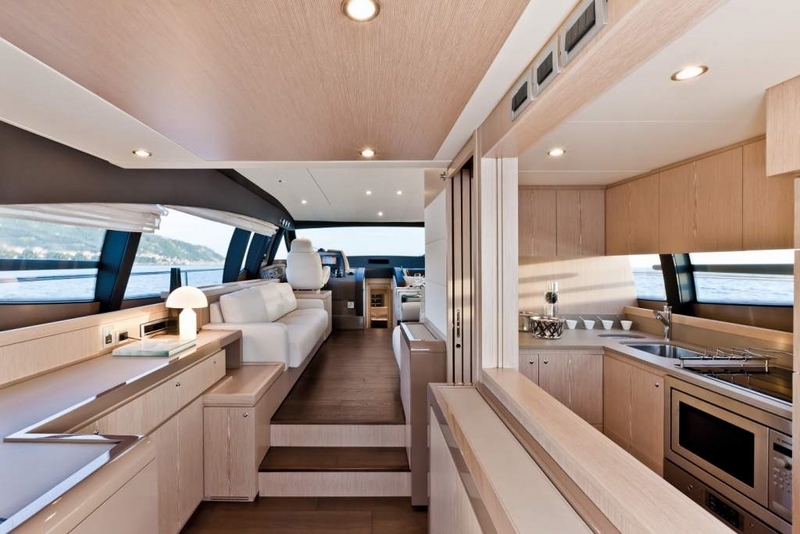 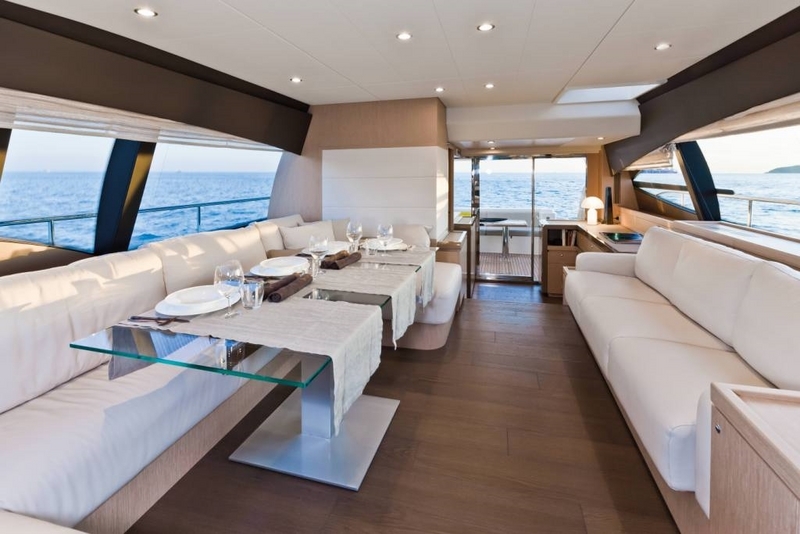 refrigerator and freezer, microwave, Sunlounge pad at bow with sunbathing cushions, cockpit table, bimini top, bathing platform, hydraulic passarella with RC, BBQ, light show in saloon connected with Hi Fi, Digital lock safe in master cabin, Wi Fi Internet.